There’s only one place to be if you’re a fan of The Devil Makes Three!! The nation’s favorite Americana band are bringing their much-loved live show to the Fox Theater Oakland on Saturday 27th October 2018 – tickets on sale now and expected to sell FAST, so don’t delay – grab yours NOW and get ready to experience it all live!! Currently comprised of band members Pete Bernhard, Lucia Turino, and Cooper McBean, The Devil Makes Three made a name for themselves with their very particular mix of various diverse genres including ragtime, jazz, folk, blues and country that blends perfectly into a cohesive whole. Known for their live shows, they have recorded several live albums. 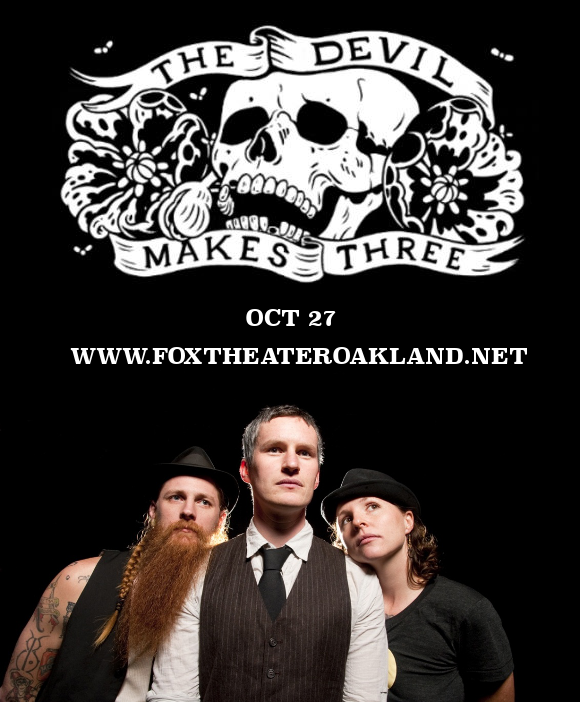 Don’t miss out on your chance to experience it all live – get your tickets to see The Devil Makes Three today! !